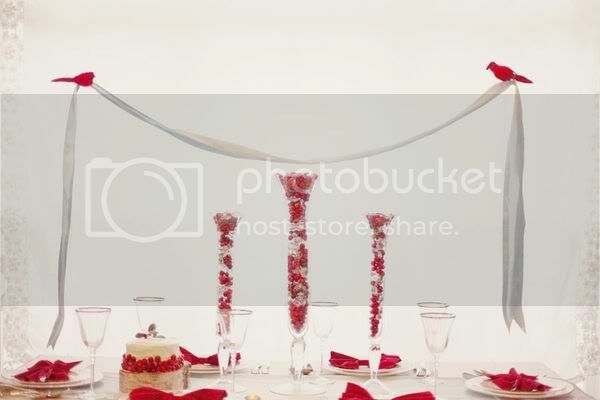 I fell in love with this confetti inspired event when I first laid eyes on it in Martha Stewart Weddings magazine. I immediately tore out the pages and saved the article in one of my many inspiration binders and have always wanted to style a party around this fun concept! 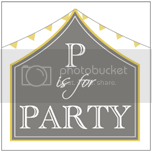 What better theme to base a New Year's Eve party around?! 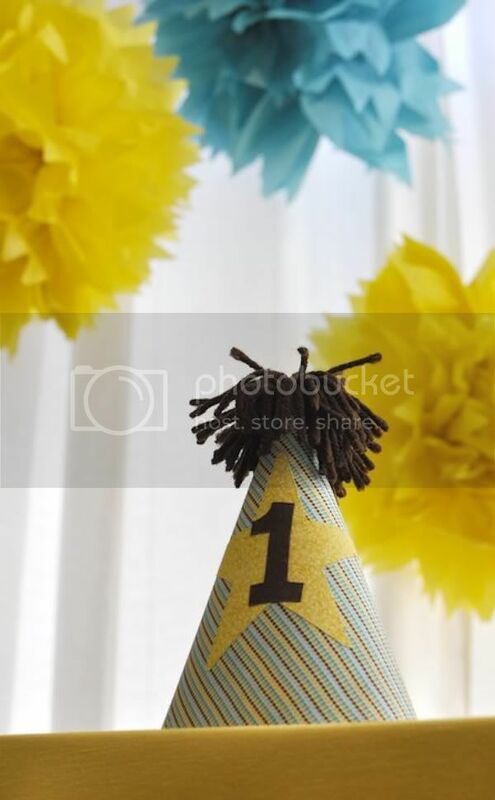 I know we have almost run out of time, but you can quickly pull from some of these fabulous ideas...custom confetti punched from coordinating papers, homemade liqueur lollipops, sugar dusted donut holes and even cut out circle fondant pieces and place on a cake! 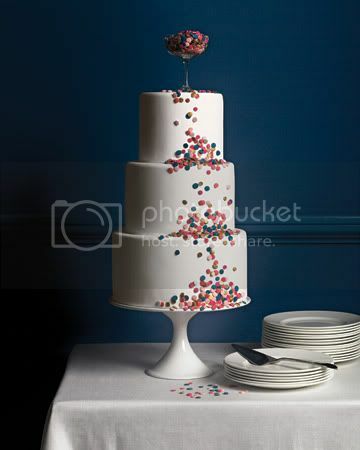 The hot pink and navy invitations are too die for and I can't get over the confetti cake designed by The Cake Girls! 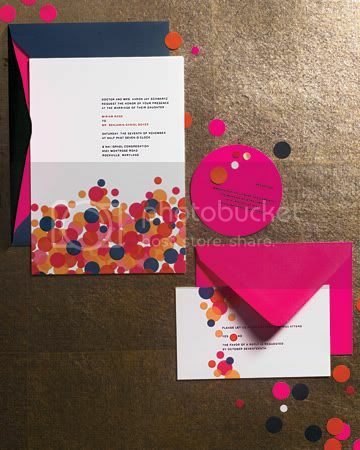 The confetti-inspired placecards are so fun! 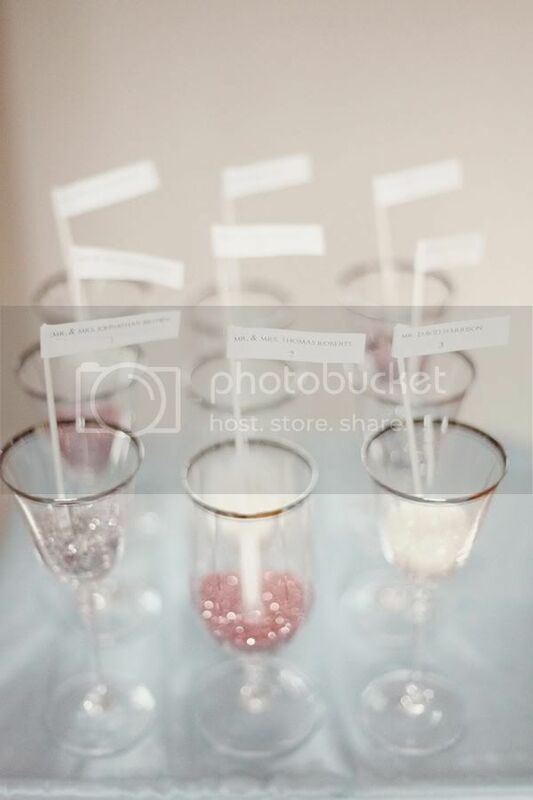 Pin them on a board for guests to find or lay them sporadically on a table to look like you sprinkled confetti everywhere. 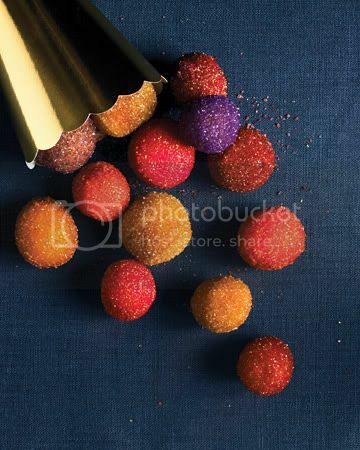 How cute and yummy do these sugar dusted donut holes look?! Find the how-to here. 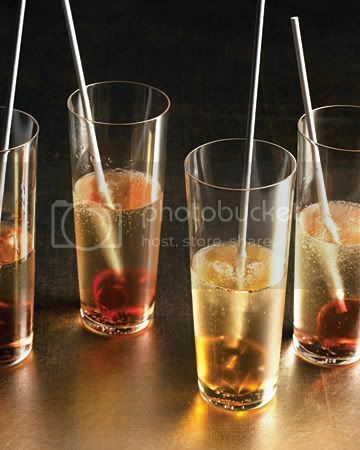 Homemade liquer lollipops are a treat for everyone and look so pretty dipped in a glass. Find the recipe from Martha Stewart, here. I am truly ga-ga over this perfectly styled event and hope you are too! Read all of the details on Martha Stewart Weddings. 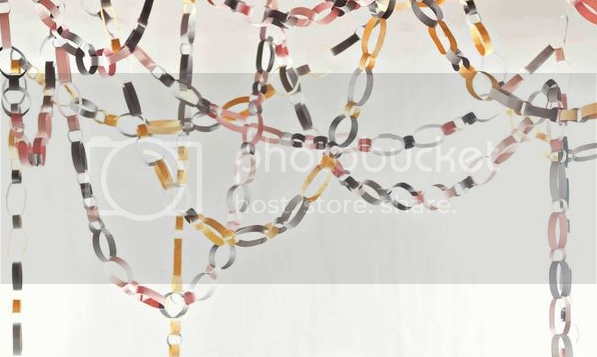 Lately, I have been crushing on paper chains! 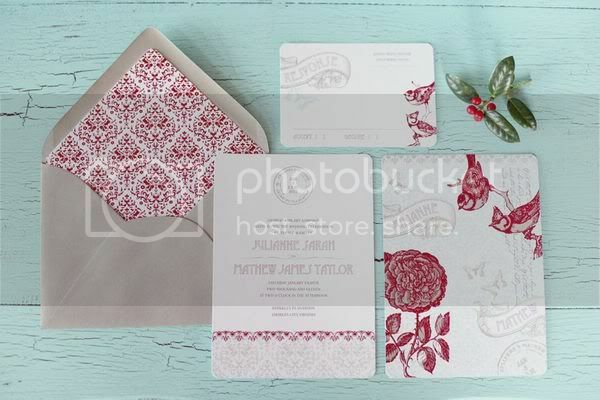 The simplicity of the decoration is so nice, but it can make such a lovely statement. 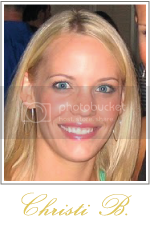 I adore this version from Style Me Pretty. 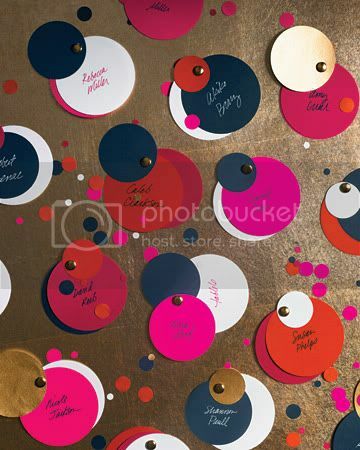 The metallic papers are gorgeous and would dress up any New Year's soiree! 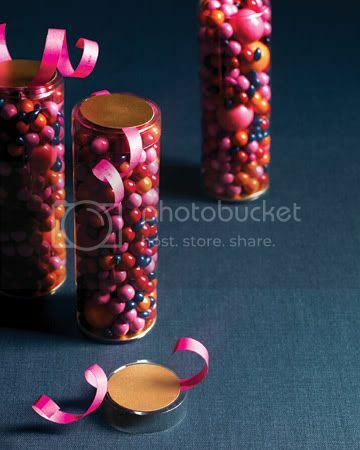 Ring in the New Year with this clever idea from Martha Stewart! Purchase bubble packaging and color the flat side of various bubbles with permanent marker. 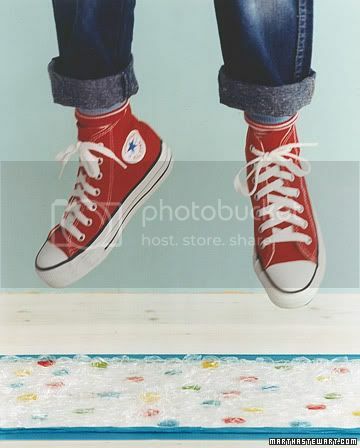 Lay white paper on the floor and tape the bubble runner on top. This is a perfect New Year's Eve party addition for kids and the kid in all of us! It's Christmas week which makes me giddy! 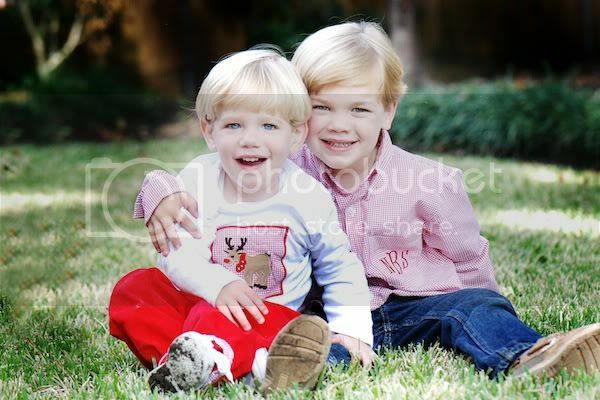 Having two little boys who are two and four make it that much more exciting. 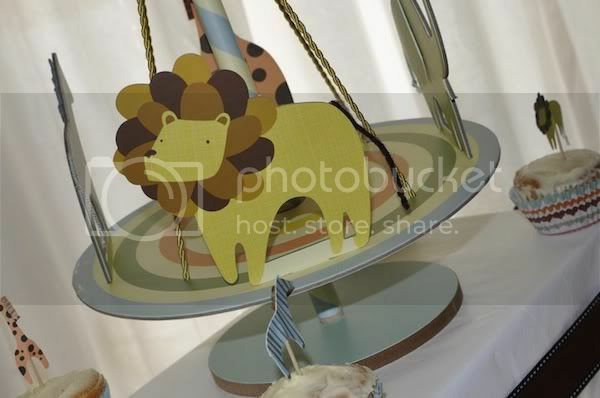 Here is a GORGEOUS table that I spotted on Style Me Pretty which was designed by the ladies of Simply Bloom Photography. 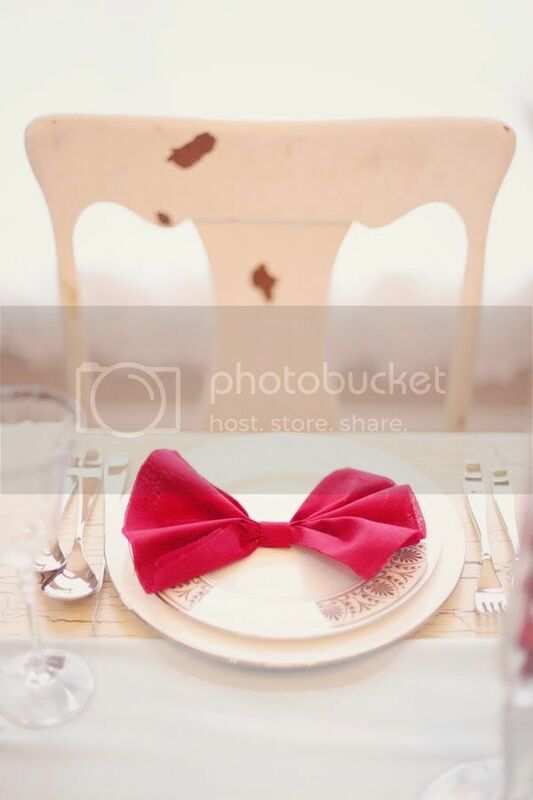 Visit Style me Pretty to read a bit more on this beautiful table. 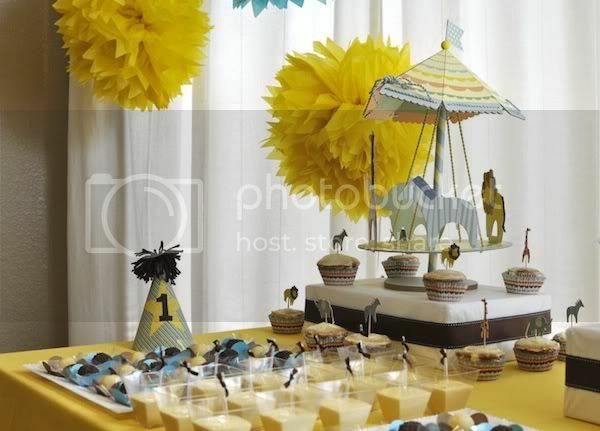 Taking a quick break from Christmas, here is a cheerful yellow and blue dessert table created by Lis Richards for her son's first birthday! 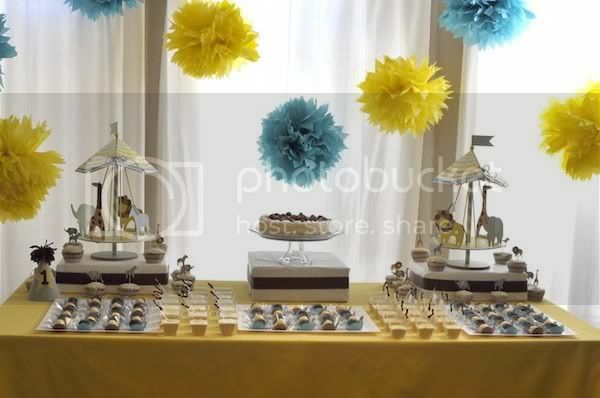 Lis is from Brazil and wanted to incorporate some Brazilian desserts into her table. She said the Americans loved all of the tasty delights! 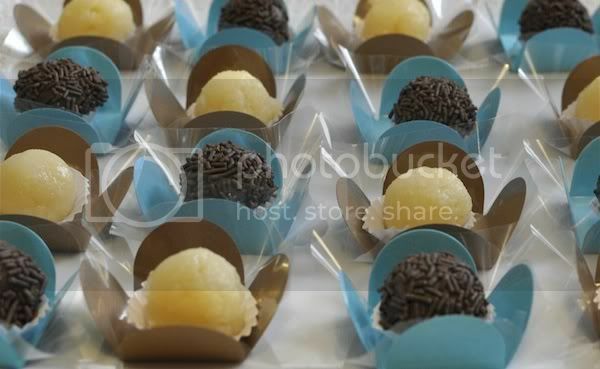 This delicious chocolate treat is called Brigadeiro and is a must-have at all children's parties in Brazil. You can find the recipe here or buy them ready at this Brazilian shop. Lis made passion fruit mouse and said it was very easy to make! Here is the recipe. I love all of the adorable creations by Meri Meri! 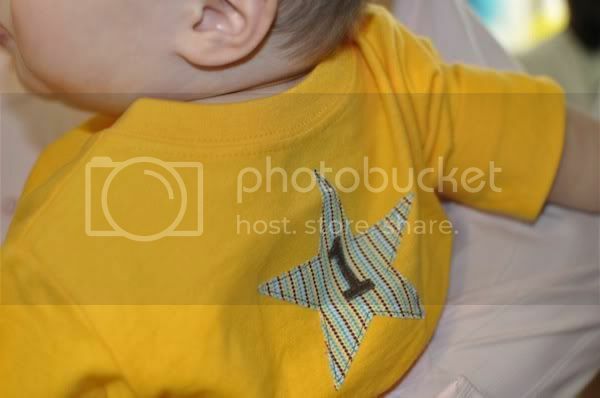 Lucky Lis has a craft friend who handcrafted Caleb's birthday shirt and party hat! Thank you Lis for treating us to this delightful table! 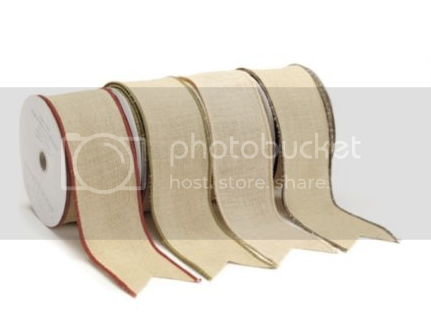 I am a sucker for burlap (have been for years! 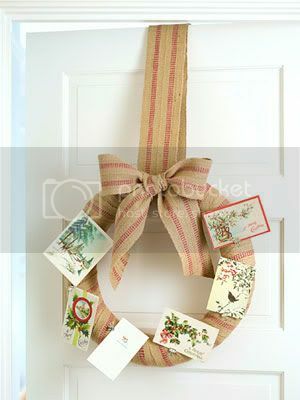 ), so I was thrilled to see this burlap wreath on Better Homes & Gardens! The wreath would go so well with my home decor and I'm guessing it would look great in so many of your homes' since this look is so in right now. 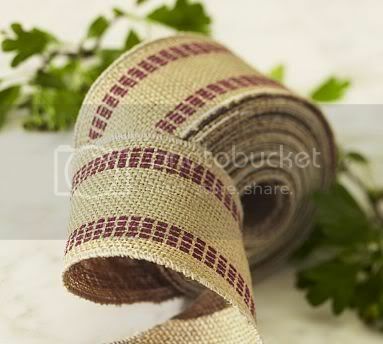 This ribbon from Pottery Barn is a perfect match! The bad news is that the ribbon is no longer available online, BUT maybe it can be found in the stores?! 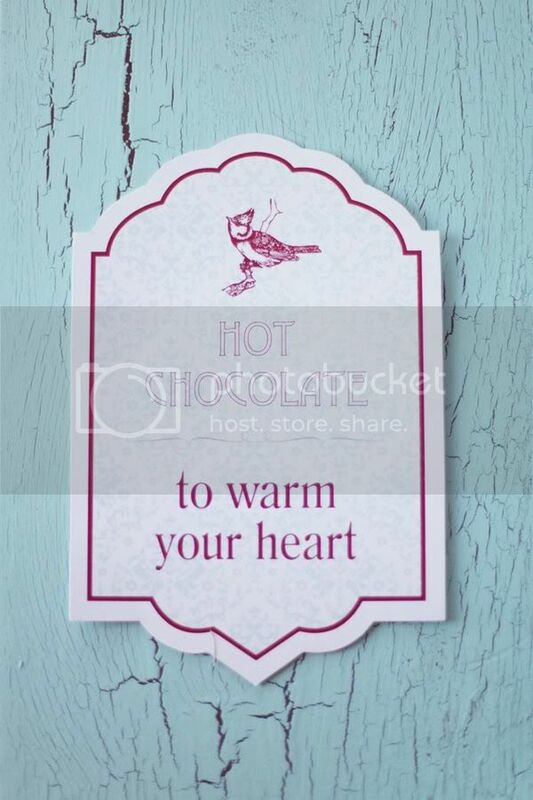 A second ribbon option would be this one from Ballard Designs. It comes in several different colors and is currently on sale for $6.99! I hope everyone is enjoying the holiday season!!! 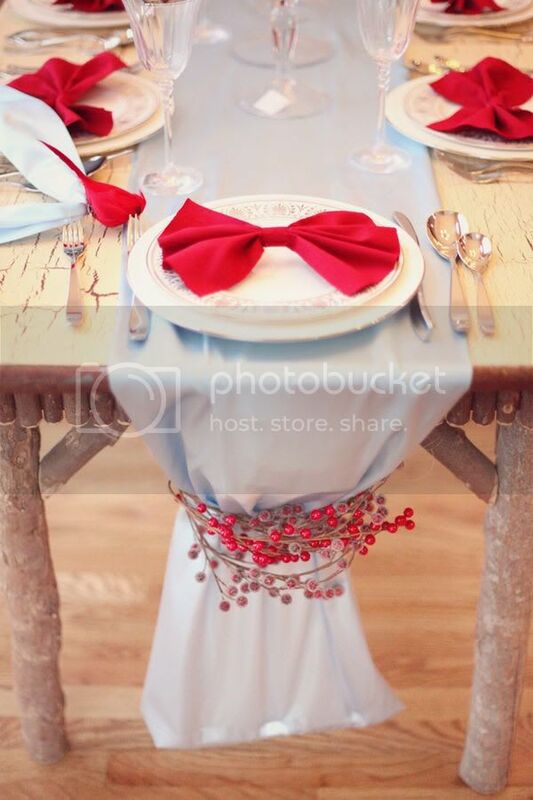 Holiday Table Challenge Hosted by The Party Dress! 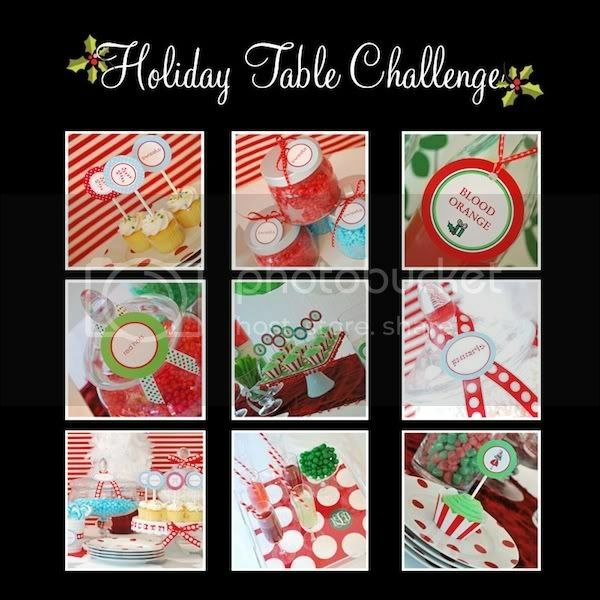 Have you heard about the Holiday Table Challenge that is being hosted by Kelly of The Party Dress?! For the next few weeks, Kelly will be showcasing gorgeous tables designed by many of your favorite bloggers. 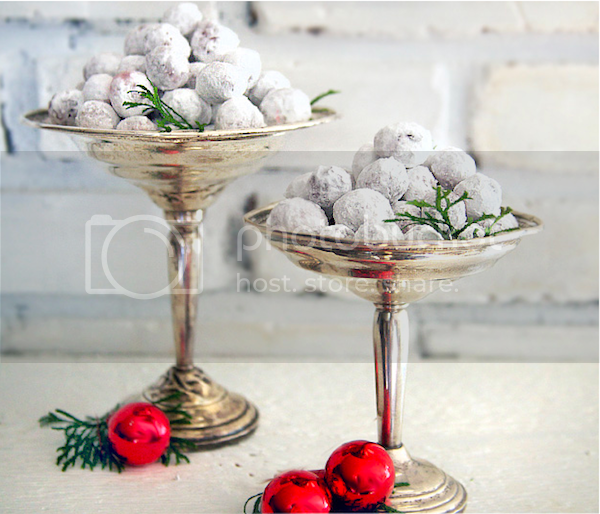 You will not want to miss this eye candy which I am sure will serve as great inspiration for you for the season and other celebrations to come! I was lucky enough to be asked to participate and I hope I am able to come through with an inspiring design! Two beautiful tables have been shown so far. A dreamy "Coastal Christmas" table was styled by Beth Beattie of Beth Beattie Branding, PR and Events. Then, today, Chris of Celebrations of Home, was able to show off the elegant table she designed that will not only work for Christmas, but for any special occasion. Chris used black, white, silver and lots of sparkle to create a stunning table to inspire you! A big thank you to Kelly for hosting this fun event! Searching for alternative Christmas desserts, I came across this sweet confectionary from St. Louis Entertains. 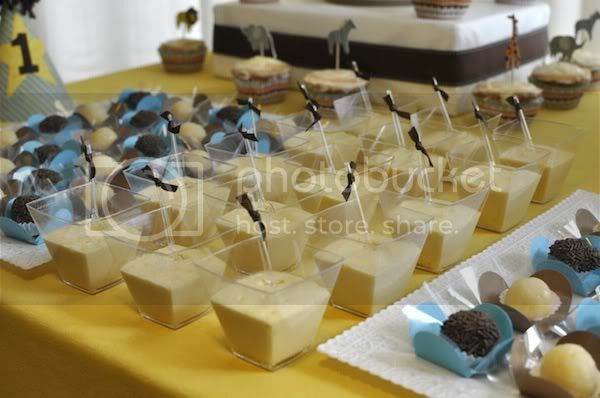 The ingredients and preparation are simple and the presentation idea is elegant. Dissolve the granulated sugar in water over low heat in a saucepan. Bring to a simmer; remove from heat. (Do not boil - you do not want the cranberries to pop.) 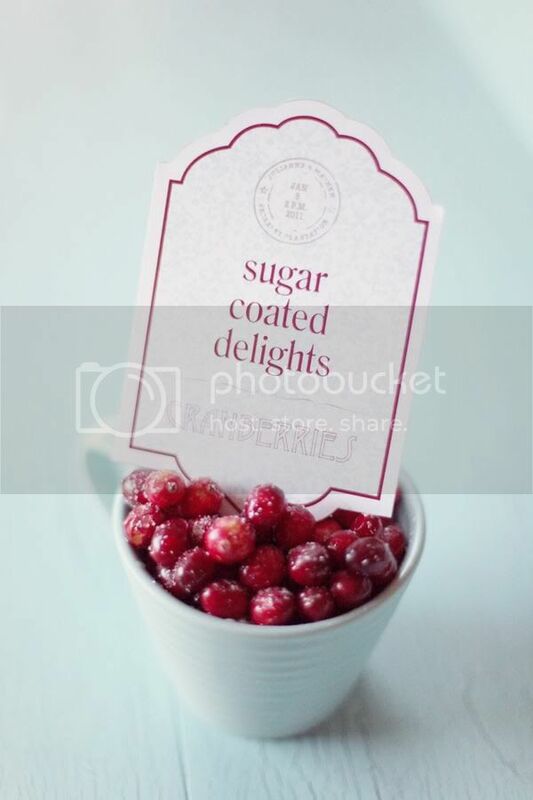 Stir in cranberries; pour mixture into a bowl which will be refrigerated for 8 hours. Drain cranberries. 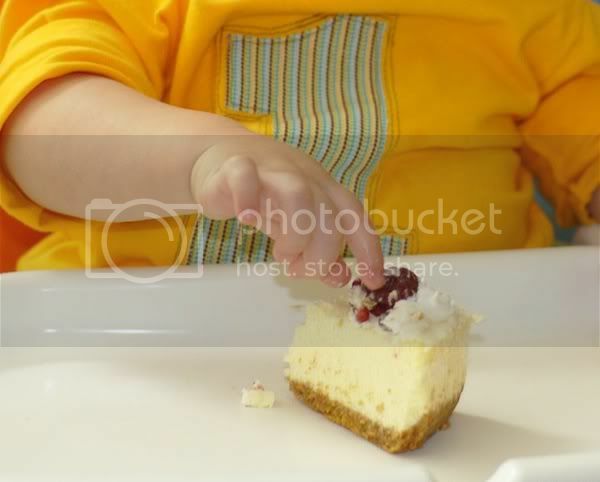 Fill a container or bowl with the powdered sugar and coat the entire berry with it by rolling it around in the container. Spread out the berries on wax paper and wait for them to dry (about 1-2 hours). Keep in a cool, dry place for up to a week before serving. I am so excited that the holiday season is here! My calendar is full, but I wouldn't want it any other way. I love being able to celebrate this special time of year with family and friends! I do feel a little overwhelmed though with not only the hustle and bustle of Christmastime, but I am also in the process of planning Conrad's second birthday party which will take place in a few weeks AND Nick's birthday party in January. I guess I need to accept the fact that this time of year will forever be insanely busy! A November anniversary, Thanksgiving, two birthday parties, Christmas, shopping, house guests, parties, school functions, New Year's...you name it! I miss blogging on a daily basis! I truly am so sad that my time is limited for the next few weeks. I promise to post ideas and parties during this Christmas season, but I just wanted to explain my absence and lack of posting. 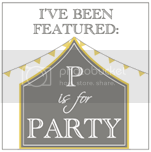 I look forward to sharing Conrad's party details right after Christmas! A heartfelt thank you to EVERYONE who checks in with me daily and for all of your uplifting comments. Reading your sweet words truly make my day and encourage me to continue blogging. 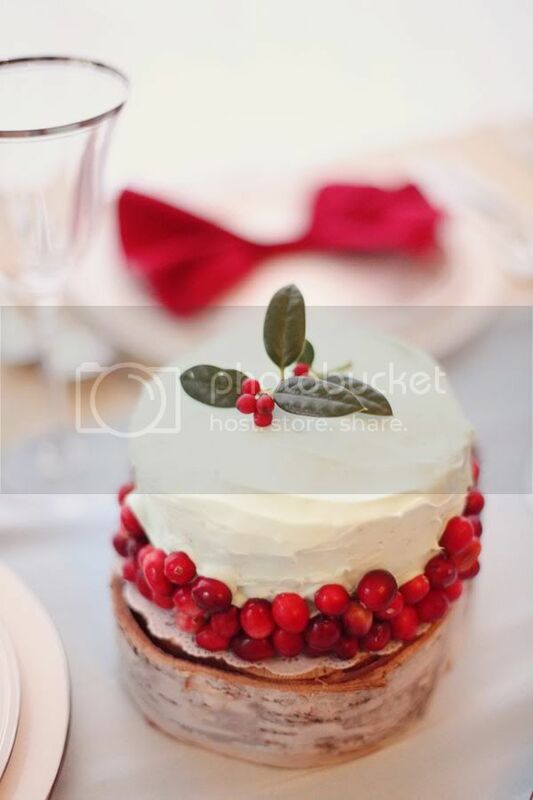 Coming up right after this post...an unusual Christmas dessert!